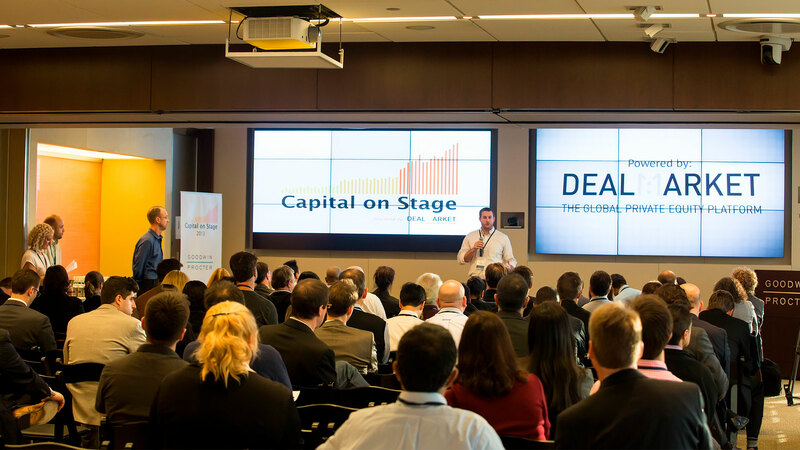 Capital On Stage is a series of global events that brings together startup founders, investors and enterprises. The unique format puts the investor on stage to pitch to the founders, explaining their investment focus, values and background story. During the second part of the day, founders can meet the investors in one on one meetings. Our events are known for creating an informal and personal atmosphere. PITCH36 is a local spin-off of the main Capital On Stage events, where each attendee pitches their company and needs. With just 30 startups and 6 investors or enterprise partners, these niche events bring you the best intimate setting to meet professionals. Together with our local organisers we make sure that the format stays strong and provides value. To organise your own PITCH36 event, contact us. What does the event program look like? There are two types of events: Capital On Stage and PITCH36. Each individual event has an event page with all details, including a detailed program, the timeline of the day and speaker profiles. Can I host an event myself and use the format? Yes, we franchise our events. This means you can organise your own Capital On Stage event with our support. We have the manuals, guidelines and materials to support you. PITCH36 is designed to be locally organised and would be the best way to start working with our format since it is a lighter version of Capital On Stage. Please contact us if you have any questions. How do startups apply for the event? Each event page has an apply button which leads to fundsUP. This is our external platform, used to manage all applications. fundsUP saves your company profile so you can apply for future events as well. Who gets accepted to the event? All startup applications will be screened, based on criteria needed to meet with venture capital investors. You will be asked to give information about your company, the investment size you’re raising, your pitch deck and other relevant information for investors. Once approved, this information will enable us to match you with the right investors. Don’t worry, your information (fundsUP profile) will not be shared without your consent. How do I get a startup ticket? Once your application gets accepted (see Applications), you will receive a link to purchase your ticket. Capital On Stage only allows startup founders to attend, limited to two per company. For ticketing, we use Eventbrite. Locally organised, a maximum ticket fee of 50,- euros to cover the expenses of the organiser. Why do you charge startups? In order to guarantee that the startups selected are serious about their funding, we ask a minimal fee to ensure participation. We choose not to take a stake of any of the investments made at our events. Instead, a founder ticket covers attendance for the entire day, including private meetings with the investors. How do I get an investor ticket? Take advantage of our bundle prices by joining multiple events. We’ve been matching startups with investors for more than 6 years! We work with each investor to understand their investment focus and the portfolio that they have built. We’ve also reviewed thousands of pitch decks. Combining the two, you get a clear understanding of the market and the needs of both sides. That’s where Capital On Stage comes in. Which investors will I meet at the event? At Capital On Stage, you’ll meet privately with 2-4 investors that we’ve matched you with. This is a quick speed dating opportunity, where you have 10 minutes to pitch and discuss your business. You also have the rest of the day to meet and speak with all remaining investors. Over lunch, drinks, breaks - plenty of time to network! To give you additional conversation topics, we also have all investors pitch on stage. Take a look here to view all of the past pitches.